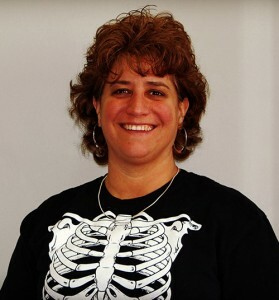 Meet Dr. John Bottoroff Jr.
Kiley Wells began her chiropractic journey several years ago. As office manger she is responsible for the supervision and coordination of business office activities. She strives to keep up on changing policies to maximize patient care. Mrs. Wells also is a direct aide to Dr. Bottorff and supports him and any activities that are best for the patients. Kiley assists during patient exams, patient care, record keeping, x-ray procedures, and patient treatment plans given by the doctor. Throughout the years she has gained extensive experience in patient exams, record keeping, patient care, x-ray procedures, neuromusclar reeducation treatments and decomposition treatments. She is constantly working to improve the chiropractic experience for all the patients. Kiley’s fun, positive, and outgoing personality has been beneficial when assisting Dr. John with new patients and children. Outside of work she is a dedicated wife and mother of 4 girls: Ava, Abbie, Macy, and Morgan. She loves summertime activities, vacationing and spending time with her family and friends. 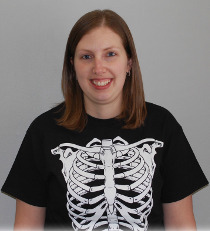 Kasey has been a positive, energetic and therapeutic addition to the staff. 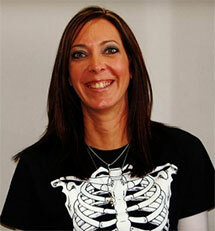 Kasey has been practicing massage therapy for 10 years. Ms. Hoffman received her massage training at the Academy of Reflexology and Massage Therapy School in Indianapolis, Indiana. She has since continued her massage education through the Upledger Institute studying CranioSacral Release. In addition to her massage education, Kasey is a Certified Natural Health Practitioner focusing on alternative health and herbal supplementation. Understanding the power of knowledge, Ms. Hoffman believes in total body wellness and strives to educate her clients as well. When not at the office or continuing her education, Kasey can be found with her family and friends sharing in many different activities. Ms. Hoffman enjoys various outdoor events including running, biking, camping, growing fresh herbs, hiking and swimming. Recently, Kasey has taken up Crossfit to enhance her workout routine. Ms. Hoffman also finds blessings in volunteering at community events and helping with activities at Woodland Heights Christian Church. Nichole Million has joined us at our front desk with a joyful personality, greeting patients with a smile. Nichole has been working in customer service and hospitality for several years. She loves working with people, forming new connections,making a positive impact on the lives of others, as well as making your day a little bit brighter. Nichole assists the Doctor’s, Office Manager and Massage Therapist while completing the necessary duties for the functionality of the office. She attends to the practice’s schedule, makes and confirms appointments for patients, collects and processes payments from the patients and insurance companies, all while making sure the office runs on time. Outside of work Nichole is a devoted wife and proud mother of three sons: Nathaniel, Gabriel, and Benjamin. As a family they enjoy outdoor activities, like camping, hiking, fishing. Nichole and her husband, Garret, also enjoy attending their son’s sporting events. In her free time, Nichole likes to read and play with her kids. She feels blessed to work with such a great team of people, and looks forward to building relationships with the patients of Advanced Chiropractic. Care Align is the newest member to the Advanced Chiropractic Team. She has assumed the roll as Chief Marketing Advisor. Care Align’s dedicated hours to promoting health and wellness have brought fresh insight to the office. She is a 1981 graduate of Palmer College of Chiropractic where she excelled in Anatomy and Biology. 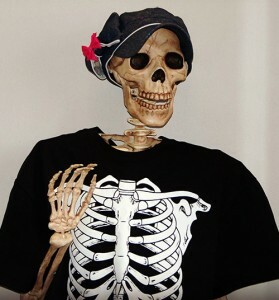 In her free time, Care Align can be found watching her favorite show, Bones. She also enjoy’s grilling ribs, with her brother, Joey. Vacationing, collecting post cards, attending sporting events, meeting new friends and walking her dog are also some of Care Align’s hobbies. Please feel free to contact the office, if you are interested in having Care Align attend one of your events.